Posted January 8th, 2019 by Brian S. Mazar, MBA, CBI & filed under American Fortune. Mazar and his team immediately began drafting plans for a service that would meet the needs of small business owners who needed to sell their businesses but wanted or needed to save money when selling a business. What was needed was a product that would assist business owners in selling their business at a lower cost. Within six months of conception, “Business Sale Advocate” was released to the public and small business owners were quick to identify with its concept. “Sales took off,” shared Mazar, commenting on the speed at which Business Sale Advocate took off. The program allows businesses owners in successfully selling a business with the aid and assistance of a business broker. Business Sale Advocate was adopted by the broad population of business owners. “We added business advisors quickly to satisfy demand and I’m thrilled with the results. When a new product or service has a quick success like this, it’s usually a testament to the degree a consumer’s need was being unmet before. The business advisors at Business Sale Advocate are very proud to be a part of this new service to the business selling industry. It was overdue. The weak U.S. economy over the past 4 years has taken its toll on business owners. Many have minimized spending budgets and trimmed staff just to stay in existence. To save money many business owners selling their business on their own, such frugal thinking is causing more and more business owners to consider selling their business solo; without the assistance of a business broker. Some business owners navigate this process successfully, but far too many of them hobble through with less-than-ideal results. Business Sale Advocate CEO, Brian Mazar, today releases the top risks a business owner takes when selling a business solo and provides some advice for making this decision. “There are two risks when selling a business that owners want to avoid in selling their business on their own,” states Mazar. The first is an owner’s tendency to go for the “Quick Sale.” “With this state-of-mind,” cautions Mazar, “an owner may eventually end up selling their business but often overlook some valuable aspects of the deal.” For example, a company’s business valuation might be inaccurate which could mean selling a business for thousands of dollars below what it’s worth. Poor valuations also increase the risk of selling to a bottom-feeding buyer who will utilize great negotiation tactics to obtain favorable terms and a great purchase price. Additionally, if the structure of the deal is not meticulously reviewed, owners may unwittingly leave themselves legally exposed which can come back to haunt them in the future. Then there are those businesses owners selling their business by owner (BFSBO) that languish on the market with their business offered for sale at twice the actual value wondering why no buyers are showing-up. With the sale looming somewhere in the future, “employees start to leave as they begin to worry about the company changes, their job stability and new management,” says Mazar. With no offers in site, owners tend to spend increasing amounts of time focusing on why their business is not selling. The business then begins to suffer which can include declines in revenue, morale and growth: not a good recipe for selling a business. Accurate valuation in hand, the decision must then be made to go for sale by owner or hire a business broker for selling their business. To make this decision, educate yourself. Find out what it takes to successfully sell a business. Speak with professionals you trust. Call around. 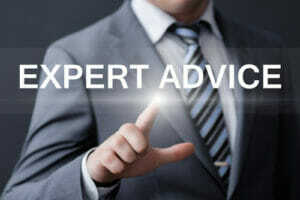 A good firm will at least offer some advice regardless of their involvement in the selling process. Be sure to understand the importance of confidentiality, a thorough and controlled process, how to properly screen qualified buyers, the due diligence process and how to predict future problems and be able to offer solutions to a potential buyer. Then take a good, long look at your time resources. As a for sale by owner, be prepared to dedicate 10-15 hours per week for up to two years to selling your business. This time will be used to advertise, find buyers and screen them, understand tax implications, structure a deal, conduct due diligence, negotiate and legally protect yourself and the business. If these tasks seem overwhelming, perhaps a for sale by owner is not the way to go in selling a business and you may consider a business brokerage firm. Firms whose core focus and work is the buying and selling businesses are your wisest choice. “They are experienced in providing advisory services and their resources typically run deep,” Mazar stated. “Find a firm that clearly and realistically presents extensive information and explains different choices along with the outcomes of each.” Then, adds Mazar, “stop, listen and ask more questions.” When a firm offers their time to help you feel confident and comfortable with all aspects of selling a business, that will be the firm for you. Business Sale Advocate is a nation-wide firm that provides services to “Minimize Risks When Selling a Business” in the areas Business Exit Planning, Business Sale (Business Brokerage) and business valuation services. Business Sale Advocate was founded by industry veteran Brian S. Mazar who developed a unique process that is sell-side driven. This process makes Business Sale Advocate different from other business brokerage firms (business broker ideology). Advisors at Business Sale Advocate do not take a typical business broker approach, they do not represent both sides of a deal and they refuse to follow the typical industry standards just “because everyone does”. Their results are different too. Those who end up selling their businesses through Business Sale Advocate receive better terms, higher selling prices and a true advocate when they sell a business. Due to this, Business Sale Advocate successfully is selling their businesses at an average of 98% of the listed price. Why pay 10-12% commissions to a business broker on the sale price of your business. 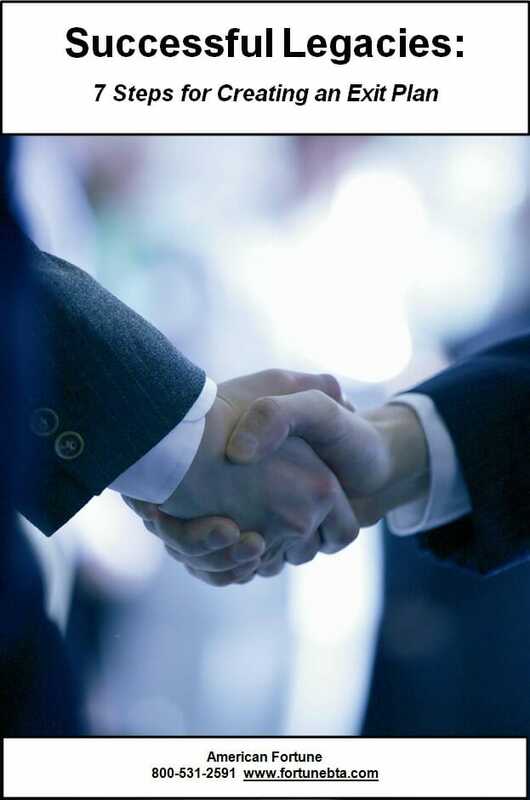 The Business Sale Advocate program goes far beyond conventional business broker services. Contact the Business Sale Advocate to learn the proper steps in selling a business and experience our help,low prices and superior expertise and support, click here. 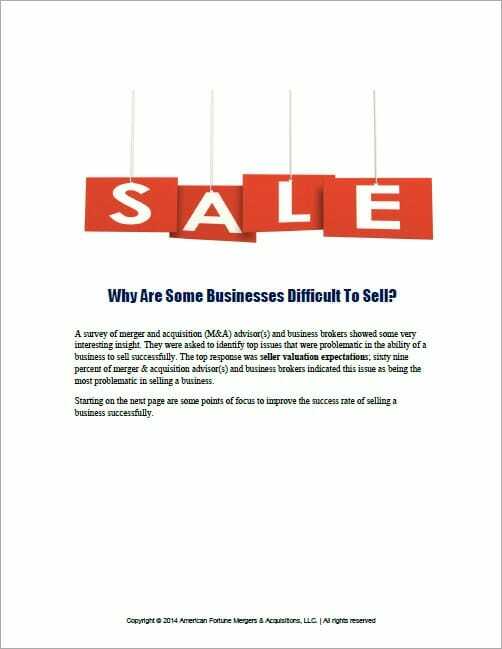 Clients have utilized Business Sale Advocate to minimize risks when selling a business in the following areas of the USA: Columbus Ohio, Atlanta Georgia, Lexington Kentucky, Bowling Green Kentucky, Nashville Tennessee, Memphis Tennessee, Cincinnati Ohio, Dayton Ohio,Toledo Ohio, Los Angeles, Cleveland Ohio, Pittsburgh Pennsylvania, Baltimore, Maryland, Indianapolis Indiana, Chicago Illinois, Detroit Michigan, Flint Michigan, Tampa Florida, St. Louis Missouri, Kansas City Kansas, Des Moines Iowa, Minneapolis Minnesota, Louisville Kentucky, Oklahoma City, Oklahoma, Dallas Texas, Fort Worth Texas, Denver Colorado, San Francisco California, Salt Lake City Utah, Phoenix Arizona, Lexington Kentucky, Los Angeles California, San Diego California. Our corporate offices are located in Los Angeles, California, Louisville, and Kentucky.